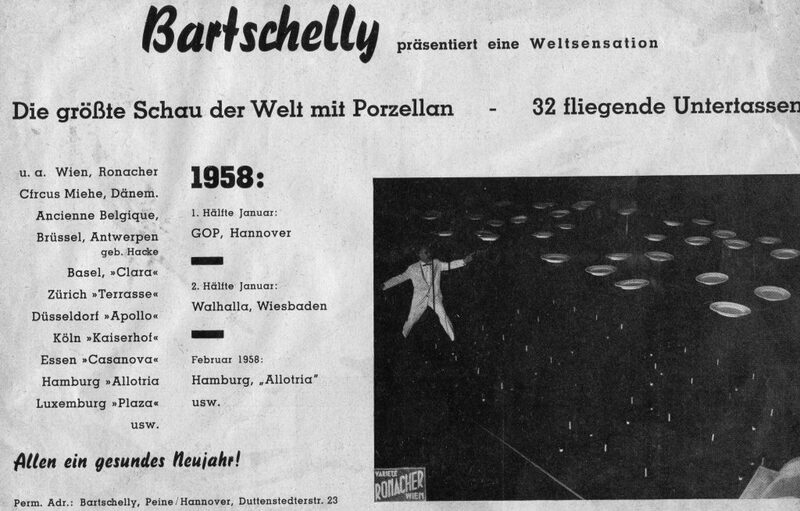 Wolfgang Bartschelly was a juggling star for forty years. He was born on June 24th, 1932 in Leipzig, Germany. He originally trained as a mechanic and also worked in a chemist’s laboratory. 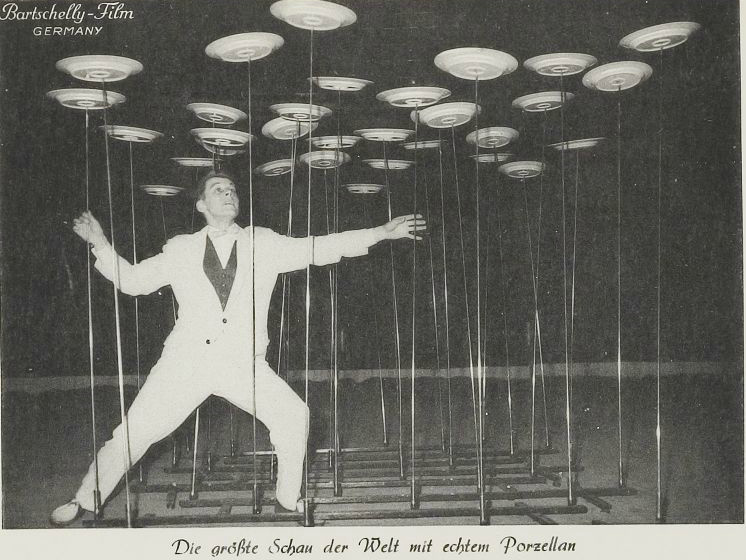 He performed in the Gitta Elsy juggling troupe for two years. 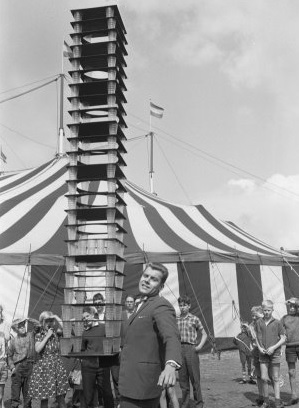 Then in 1955, he put together a plate spinning act which used up to 32 plates. He initially rose to fame with this act after he was spotted performing it in a nightclub in Hamburg by Ronald Smart. 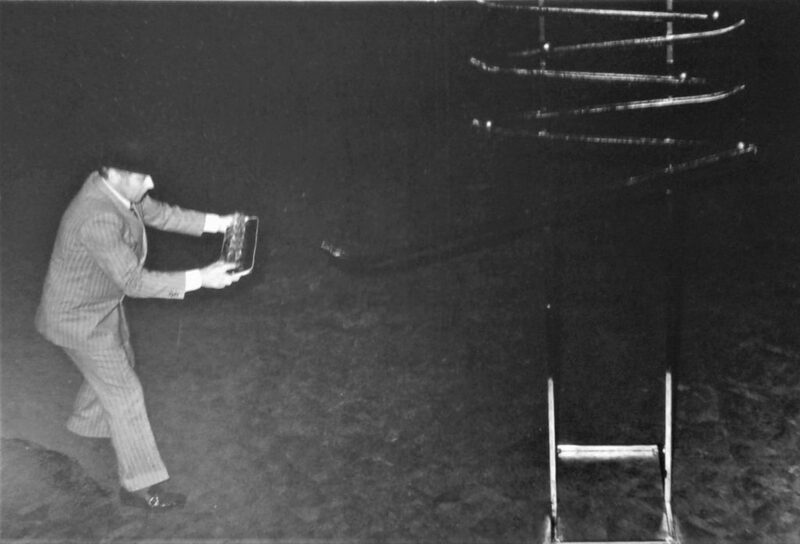 Bartschelly was offered a contract with Billy Smart’s Circus in England and his career took off. 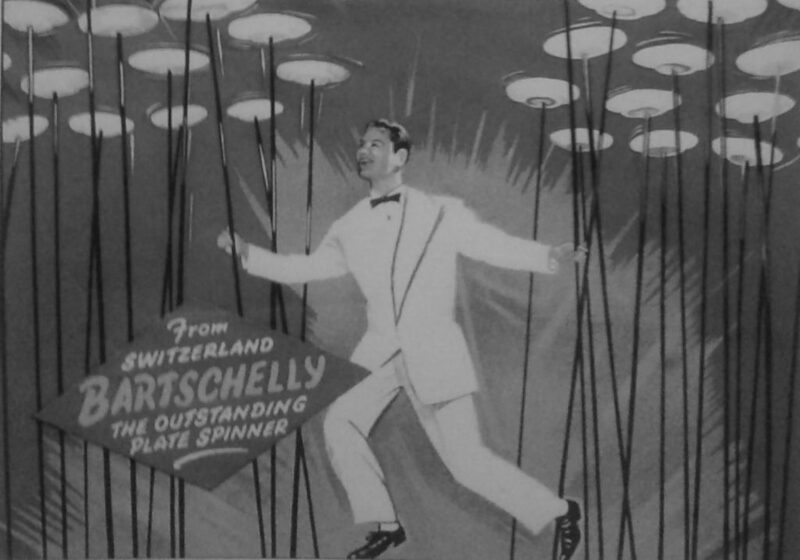 Bartschelly continued performing the plate spinning act throughout his career. 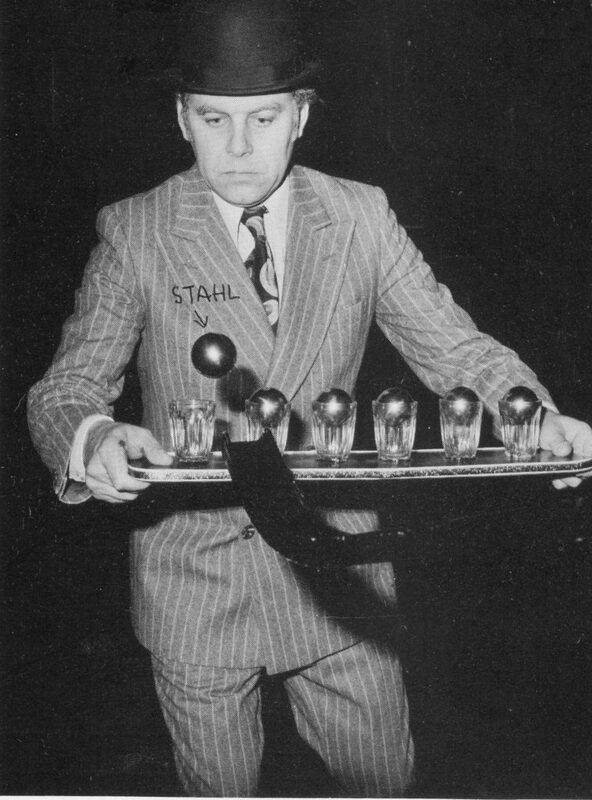 Bartschelly is most famous among jugglers for his glasses and trays balancing act. 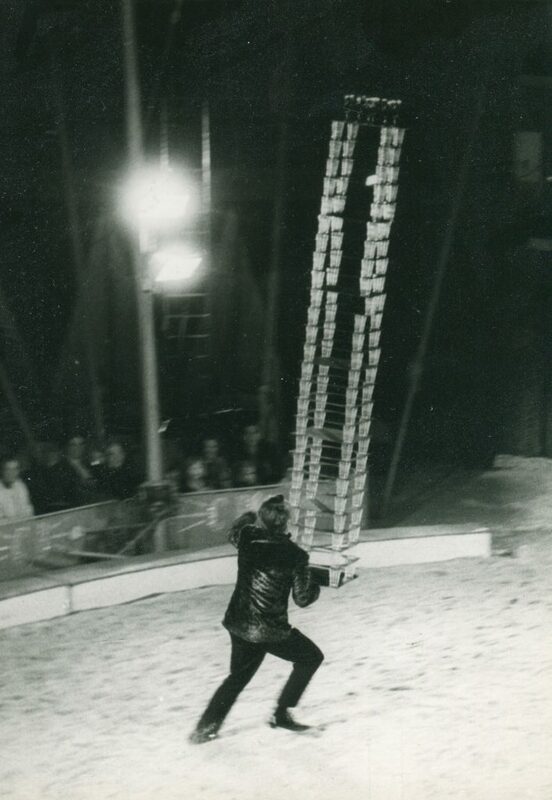 This act utilized over 100 drinking glasses and numerous trays. While it isn’t known if he invented this act, we do know that several other jugglers performed it. However, it is certainly most closely associated with Bartschelly. You can see photos and two videos of this act below. 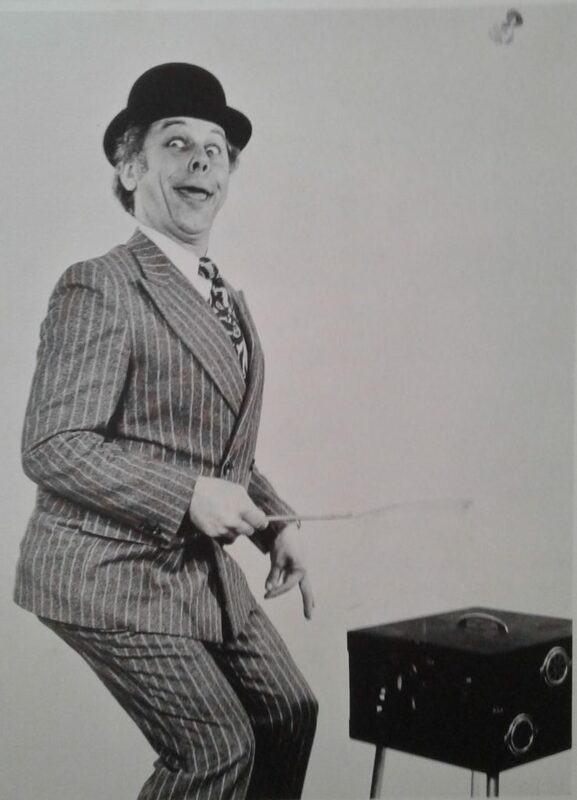 He later expanded his repertoire to include an act performed as Lord London, the catastrophic juggler, who performed a very odd act that included catching balls in glasses on a tray after the balls had been launched into the air after rolling down a series of ramps. 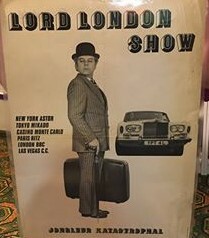 You can see photos of Bartschelly as Lord London below. 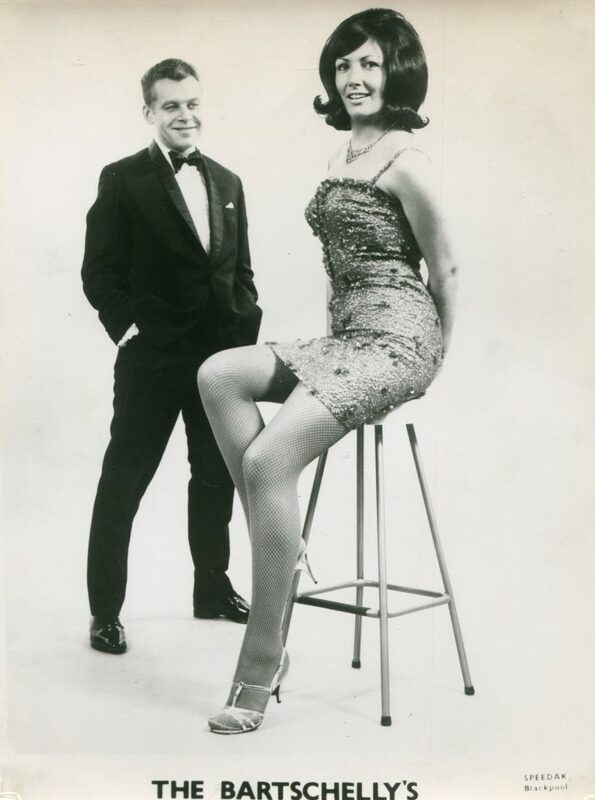 Bartschelly performed all over the world, including tours of Italy, South Africa, Holland, Scotland, France, Norway, Japan, Monaco, and many other countries. He toured with the Ringling Brothers and Barnum and Bailey Circus in the United States in 1962. He eventually made his home in Blackpool, England. There, he presented a one man show titled The Man from Mars, at The Winter Gardens. During his long career, he appeared on many television shows such as The Generation Game, Crackerjack, The Good Old Days, Secret Caberet, and 3-2-1. After suffering heart trouble, Wolfgang Bartschelly retired in 1995. He passed away on March 25th, 2008, at the age of 75. He was married twice and had three sons and one daughter.